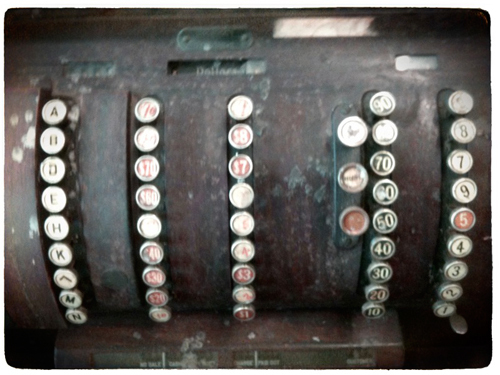 Can you imagine the satisfaction of punching a sale into this gorgeous old behemoth? If I had endless space, budget, & the strength of a circus strong-man to hoist this beauty, it would have found a home. Spotted at the Seattle RE-STORE.